30/04/2013.. A very important day for my country. 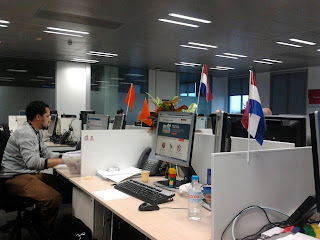 Although I am happy living in Spain , I felt quit patriotic yesterday during Queens day. Queens day is a very happy day, when every Dutchman/woman in and outside the country is having at least a bit of a patriotic feeling. The whole country is colored in Orange and everywhere the flags will hang out. The biggest part of the citizens are outside enjoying a jumble sale, outside gigs and other activities. - 19th century : no Queens day but her predecessor ´Waterloo day ´ because of the remembrance of the battlefields. - 31 of August 1885 : First Princess day .. still a predecessor.. , this as it was the 5th birthday of the young princess Wilhelmina. 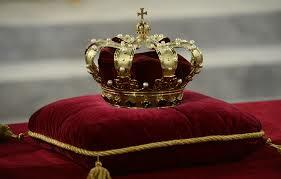 - On princess Wilhelmina´s 18th birthday on 31 August 1898 , she became Queen and from that date Queens day was a fact. 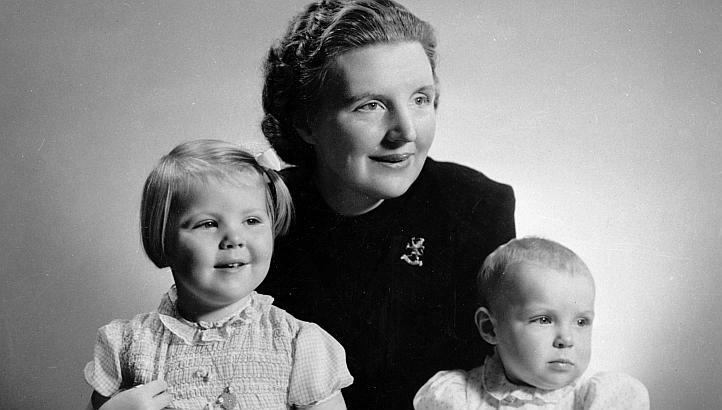 It started as a party for children and only became a national bank holiday after the socialists and social democrats reconciled with the monarchy. before that it was i dividing of 1st of May ( workers day) and Queens day for the citizen parties. - When Queen Wilhelmina´s daughter, Princess Juliana followed in her mother´s footsteps in 1948 , the date for Queens day became the 30th of April. 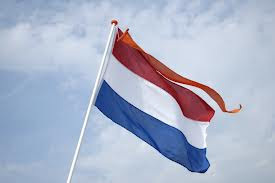 Now also this bank holiday became an official free day for the citizens of Holland. ( 30 April 1980), she kept this date as Queens day, as her birthday on the 31st of January was not very good for outside activities. 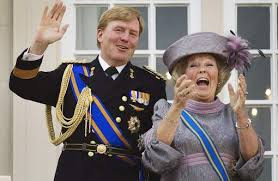 The reason I felt quit patriotic is because yesterday we got a new king, which is of course as you read the history , The son of Queen Beatrix. 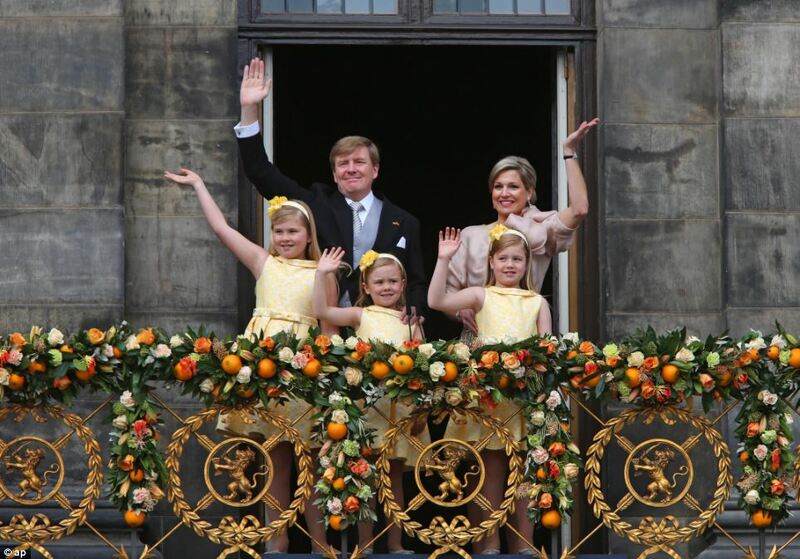 His name is King Willem Alexander and his wife Queen Maxima Zorreguita who is from Argentinian background. 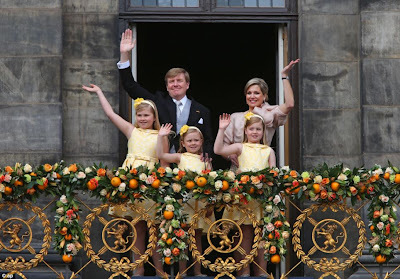 But how do we experience the monarchy in the Netherlands? Well of course i can not speak for other Dutchies, but I can for myself.. The monarchy in my eyes is nothing more then a tradition, a culture to keep in place, and i´d say, one of the most important traditions. Once I saw a YouTube movie of EU ministers checking in on a meeting in Brussels to then walk out again to enjoy their ´free´day.. Why coming in the first place you would ask? Well just so they could claim the money ( which means our tax money of course) without having to do something for it.. This said, that doesn't mean I am anti -Europe , but this is just an example to say that Ministers make a lot more ( not worked for ) money, and the anti monarchy persons don't really consider that. Nice post Jany! I watched a lot of the live stream during my breaks in the day and then I watched some of the André Rieu concert that night with all the orange bandoliers! I loved the pomp and ceremony as it was more relaxed than the British royals. Beatrix and Willem-Alexander seemed to really be moved by it all, never see the queen of England looking emotional!